Getting a diagnosis for your infant or child of cerebral palsy can be devastating. Every parent wishes for their children to be healthy and whole, but this condition doesn’t have to be limiting. Treatments, educational interventions, behavioral therapies, and good early care can all help a child with cerebral palsy grow into a healthy, happy adult. Cerebral palsy is triggered by brain damage and affects movement, muscle tone, and motor control. Most children will have some degree of physical disability, but the severity and the exact types of symptoms vary widely. One child may be unable to walk and will rely on a wheelchair, while another may have just a slight food drop when walking. Additionally, cerebral palsy can cause related symptoms: pain, lack of mobility, difficulty swallowing and eating, delayed development, hearing loss, vision loss, or cognitive impairment. There are also some associated conditions. Some children may have learning disabilities, emotional or behavioral challenges, digestive disorders, and many other issues. Cerebral palsy is not progressive. It will not get worse over time, and with good care and treatment many children with this condition can grow into independent adults. Early interventions and treatments are crucial for giving a child the best possible start in life. To begin providing the best care for your child with cerebral palsy assemble a team of professionals. Start with your pediatrician and neurologist who can suggest the types of support your child will need. Then start looking for and consulting with appropriate professionals: surgeons, physical and occupational therapists, education specialists, child psychologists or behavior specialists, speech and language therapists, and more. Let your team of professionals guide care and educate you about what your child needs and can most benefit from, while also setting goals. Having goals to work toward, such as increased mobility, improving swallowing and feeding, or developing fine motor skills can help the child and the whole family work better together to make positive advances. Keeping up with visits with doctors and therapists can be like a full time job, but doing so is crucial for your child’s growth and development. This is especially true for a growing infant and young child with cerebral palsy. Because many have feeding issues and health complications related to cerebral palsy, routine medical care is important for overall health. With regular appointments you can be sure your child is growing adequately and getting enough nutrition and is receiving the best treatment for symptoms like digestive upset or pain. It is also necessary to keep up with homework. Do the exercises and therapies that the professionals teach you at home to keep your child developing and meeting important goals. An important part of growing up for any child is to be included in school, family activities, peer activities, recreation, and anything else that most kids do. It can be all too easy to keep your child out of events and activities for fear of injuries or that he or she will be bullied or teased. But, for your child’s healthy development, inclusion is important. It will help your child develop good social skills and make friends, be more active and develop strength, and develop confidence and self-esteem. Parents can promote inclusion by insisting their children get involved. Schools and local recreational organizations must provide access for children with disabilities, even if it means making modifications or providing assistive equipment. Be active and involved at school especially, working with teachers and administrators, to be sure your child is included everywhere. While day-to-day care, therapies, and treatments are crucial for a child’s well-being, families also need to consider financial care. There are the costs of treatments, surgery, medications, and adaptive and mobility devices, and for some children these costs will continue into adulthood. Some kids have disabilities severe enough to limit later independence, which means those parents need to plan for a child’s financial future. There are many sources of financial support to turn to beyond just health insurance if you’re lucky enough to have good coverage. Look into government programs like Supplemental Security Income for people with disabilities, Social Security Disability Insurance, and Temporary Assistance for Needy Families as well as assistance offered through non-profits and community organizations. Another important source of financial resources that some parents may be able to access is from a lawsuit. Many cases of cerebral palsy are preventable and result from mistakes made by medical caregivers during pregnancy, labor, delivery, or shortly after birth. 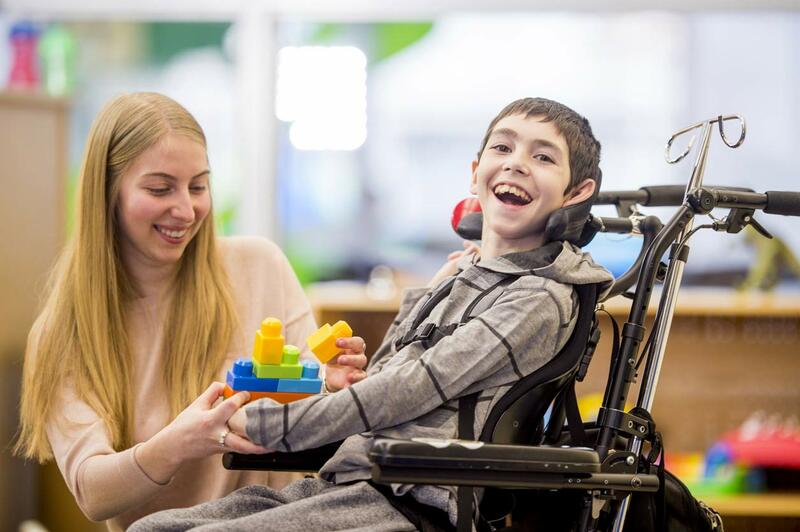 You can contact a cerebral palsy attorney to find out if you have a strong case that could result in compensation to support your child’s long-term needs. Care for a child with cerebral palsy takes many forms. From working with a team of professionals to getting your child involved in activities and at school, caring for your child involves so many different factors. It’s important to be prepared, to consult with experts, and to ensure your child will have the resources needed as he or she grows.